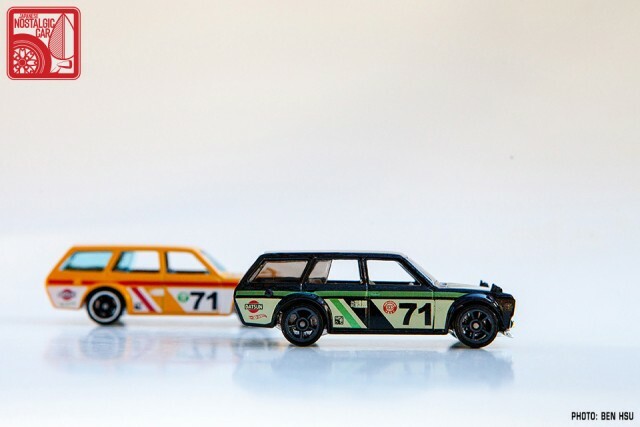 Before 2015 is over, we’re going to have one last blast with the Hot Wheels Datsun 510 Wagon. Once again, it is predicted to be a highly sought-after model, especially since it will be a KDay exclusive. However, we just received our samples from the factory so here are the details. 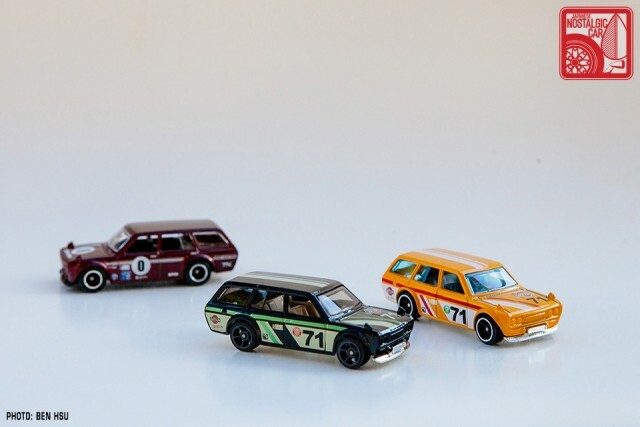 Like the Nissan Fairlady Z he shared with JNC readers earlier this week, the 510 Wagon casting is, of course, a 1:64 scale representation of Hot Wheels designer Jun Imai’s real 510 wagon. Keen observers will note that this is a recolor of the earlier 2015 release in yellow with red stripes. We think it looks even better in black, especially with the selection of pale beige side graphics that give it a real old school flavor. We should note that the stripes are actually a metallic green whose sheen does not come through fully in photos. Once again, we are proud to have our JNC inkan in black on the rear doors, sharing sponsorship space with our friends at the Japanese Classic Car Show, JDM Legends, and Nissan with the classic “Datsun” logo. For the interior, a brownish color that Mattel calls “driftwood” was selected. What’s going to make this model even harder to find is that it’s a KDay exclusive. That means it will be released across the country at 9:00am on a certain date (to be announced) exclusively in KMart stores. 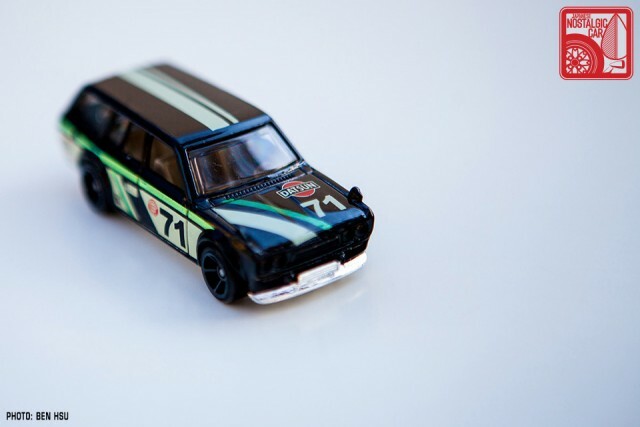 We’ve had another KDay release before, with the blue Datsun 620. Here’s an explanation of how it works. We will announce the dates when in a later post. Speaking of the Japanese Classic Car Show, the annual celebration of classic Nihon steel takes place this Saturday. If you’d like to see this model before it hits the shelves, stop by the JNC booth. Jun Imai himself will also have a short autograph session with a very limited hakosuka Skyline illustration. 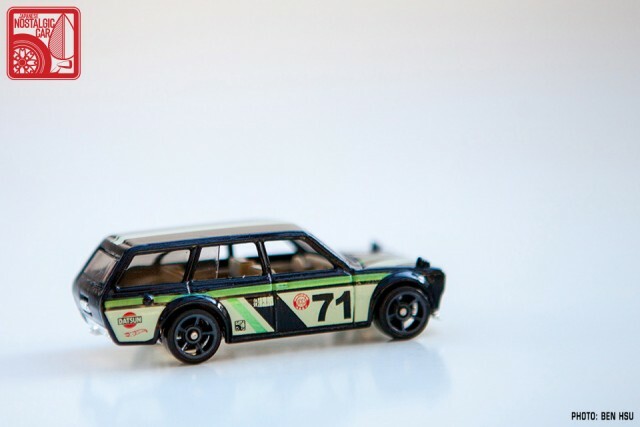 If you’re keeping track, here’s a list of Hot Wheels featuring our JNC inkan. 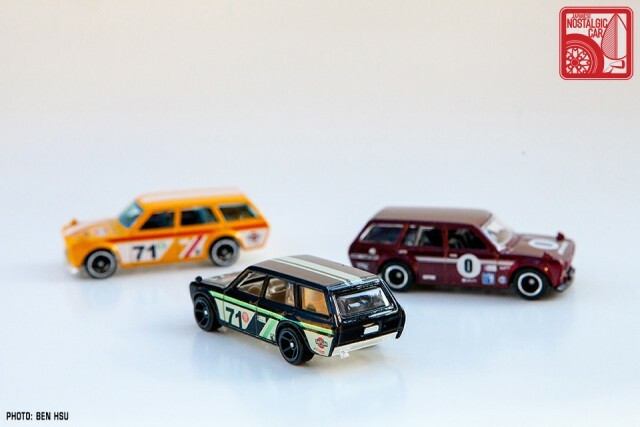 tagged: 510, bluebird, datsun, hot wheels, jun imai, nissan, wagon. Children are going to get punched.